Notifications will come through the Google app. 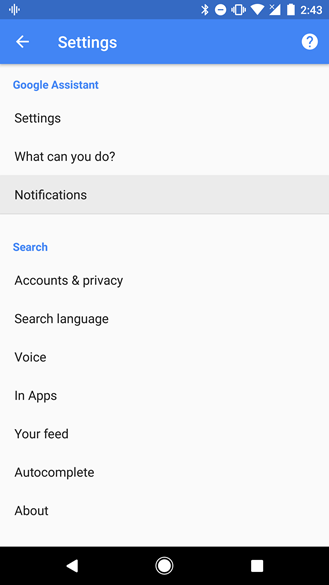 The setting to display them is disabled by default, but it's easy to turn on by opening the Google app's settings screen and looking for Notifications near the top of the category list. 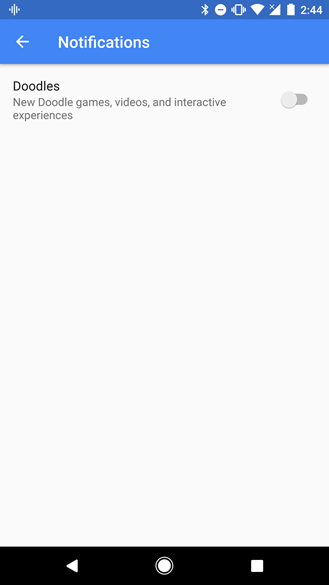 The sole option is the toggle for Doodles; its description indicates that only Doodles with games, videos, and interactive experiences will be raised as notifications, which might mean static images aren't included. The setting seems to have first appeared earlier today, coincidentally at about the same time I posted a teardown of v6.10 of the Google app, but it is definitely enabled server-side, not by a version update. The option can be found in both v6.9 and v6.10, and possibly older versions, as well. Judging by quite a few tips, this doesn't appear to be a limited rollout, so everybody should be seeing it now or at least in the next day or so.